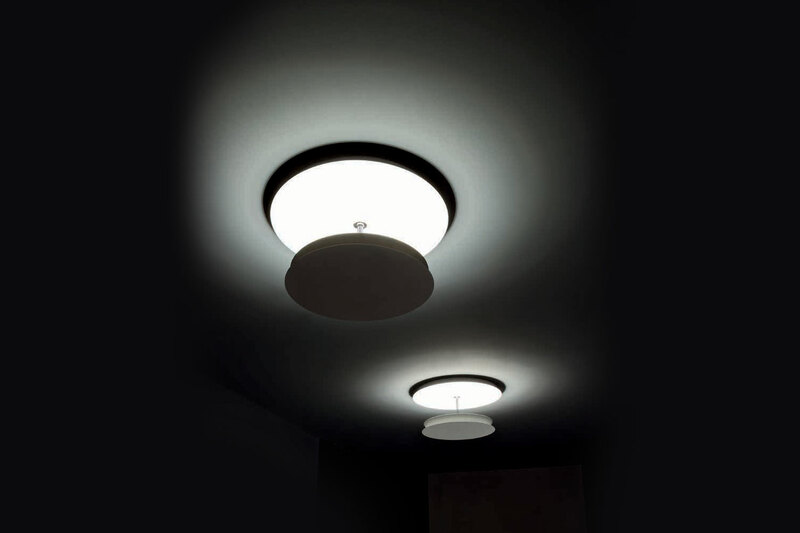 The front reflector of the BACK is available in three powder coated colours; the back reflector installed on the wall or on the ceiling comes only in white for greater reflectivity. 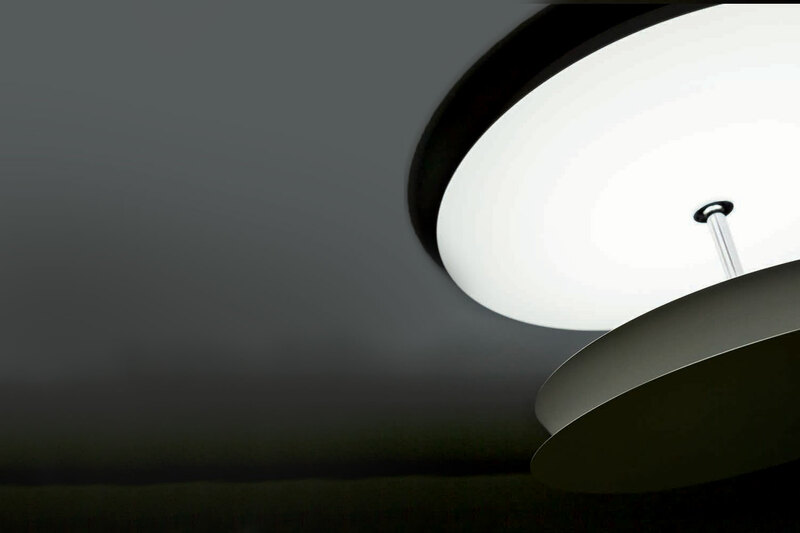 The chrome plated metal cylinder is a structural part of the lamp, that connects the ceiling diffuser and frontal element. 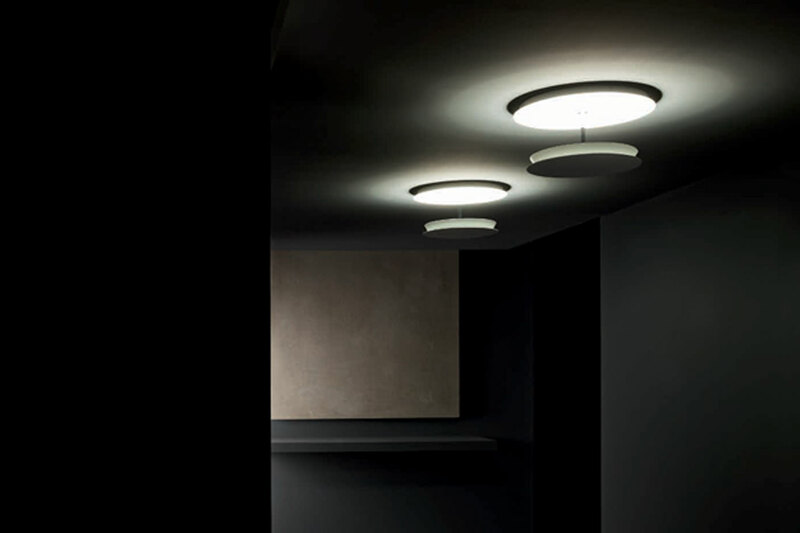 The effect can be personalized and pointed for the wall light as one of the two discs is adjustable. The contrast of the reflecting element, always in white, and the darker disk is also underlined by the different colour options for the second disc.